It is always a special treat to pick up a book and learn about something new. For me it was all about mining and the preparation of ochre from the earth into pigments for painting. That lesson was wrapped up in the beautiful story of a young bride on the verge of WWII. The story tells of the hardships the French dealt with during the war, and especially those of this young woman, Lisette, living alone and struggling to get by. It also touches on the confiscation of paintings by the German’s. The heart of the story is the hiding of the paintings and Lisette’s pursuit of them. 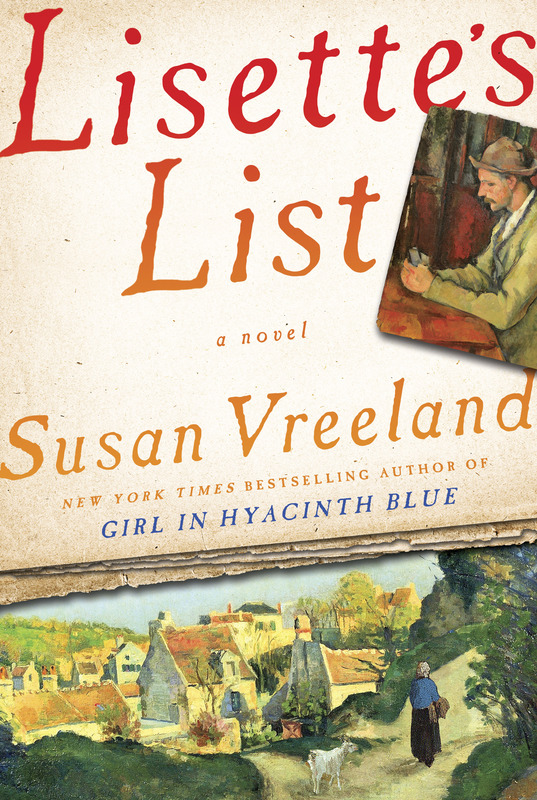 I have been a fan of Susan Vreeland since reading her book, THE GIRL IN HYASENTH BLUE. Blue must be a favorite of Ms. Vreeland for she also makes Lisette’s desire a blue dress. This book is long, 433 pages, it could have been shorter but the length does submerge the reader in the environment of the village in Provence. The author is especially adept at creating visions of landscape and mood with her lovely prose. Sometimes a beautiful book cover is just not enough. So much of this plot just didn’t make any sense to me. Yes, it might be just me, but hear me out. We have a young woman who married in haste because both she and her husband found love at first sight. They were ecstatically happy for a year. Then he kills an intruder in front of her and she decides that he’s a murderer and she leaves him for ten years. He doesn’t pursue her because he is feeling guilty about the killing. Here is where I don’t get their reactions: He is killing the guy in self defense so why is she all “he’s a murderer” and why is he feeling guilty? Spoiler Alert: Then they get back together under fantastical circumstances where coincidence abounds. Okay not so much “spoiler” but if you want to read this book I don’t want to spoil it all for you. There is a very predictable side plot about a former slave girl. 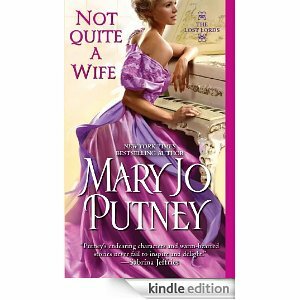 All in all I find Ms. Putney’s command of language to be first rate but this plot was so unbelieveable that I find it impossible to give it a glowing recommendation. 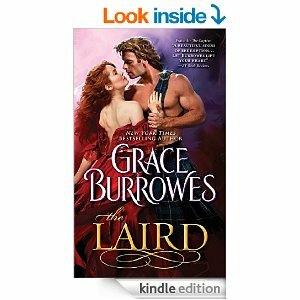 He left his bride to go to war… After years of soldiering, Michael Brodie returns to his Highland estate to find that the bride he left behind has become a stranger. Brenna is self-sufficient, competent, confident-and furious about Michael’s prolonged absence. Now his most important battle will be for her heart Brenna is also hurt, bewildered, and tired of fighting for the respect of those around her. Michael left her when she needed him most, and then stayed away even after the war ended. Nonetheless, the young man who abandoned her has come home a wiser, more patient and honorable husband. But if she trusts Michael with the truths she’s been guarding, he’ll have to choose between his wife and everything else he holds dear. In this the third and final book of the Captive Hearts Trilogy, Grace Burrowes has touched on yet another difficult and disturbing subject, this time that of child molestation and abuse. She approaches the subject with delicacy and understanding as well as discretion. She brings tears to the reader’s eyes at her uncompromising yet sensitive view of the subject. It makes me wonder how she managed to bring so much romance also. But in the hands of this author superbly nuanced characters are developed through elegantly written dialog and deft plotting. In each of the books in this series the author has introduced plots not often found in romance novels but which, with elegant writing have created a most original series dealing with torture. The torture occurring in war and the torture of abused children. She has helped us to understand the abuser and the abused, be it adult or child. I highly recommend this book as well as this series for the provocative subject matter and the emotionally satisfying romance. What woman in her right mind would say no to marrying the dashing Duke of Sedgemoor? Miss Penelope Thorne, that’s who. She’s known Camden Rothermere since they were children-and she also knows she’d bring nothing but scandal to his name. The only way they’ll both get back to London without their reputations in tatters is to pretend they’re married during the journey. That means kissing like they mean it and even sharing a bed-until it becomes hard to tell where the game ends and true desire begins . . .
Where have I been??? Anna Campbell can write a fabulous romance novel and this is the first time I’ve discovered one of her books. Okay, that’s a lie….I have had another of her books on my TBR pile for like forever, now I can’t wait to read that one. Cam and Pen’s relationship is just full of unrequited love, at least for Penelope. Cam seems to think that love is not in his stars and he wants no part of a “love” relationship. Poor, misguided man. He falls in love without knowing that is the label to place on it and denies love until it is almost too late for him to save his relationship with Pen. Delicious! Yup, so yummy you will eat this book up. One taste isn’t enough. I have to go and read all of Ms. Campbell’s back list. This was action packed and it brought a conclusion to the problems of Dominick and Tristan as well as Zoe. Zoe was a bit headstrong and Tristan seemed incapable of saying “no” and meaning it. But if all works out then we have to be happy for her stubbornness. There were some surprises that added to the enjoyment of the story. Side characters from the previous books made cameo appearances and tied the series together. While this is book#3, it is a standalone novel. There were hints that Dom might find love in a future book. Ms. Jefferies brought her usual lusciously romantic, well constructed plot along with characters that speak realistic dialog. Always true to the time period, she brings it alive with her prose. Now off you go to practice your Italian. 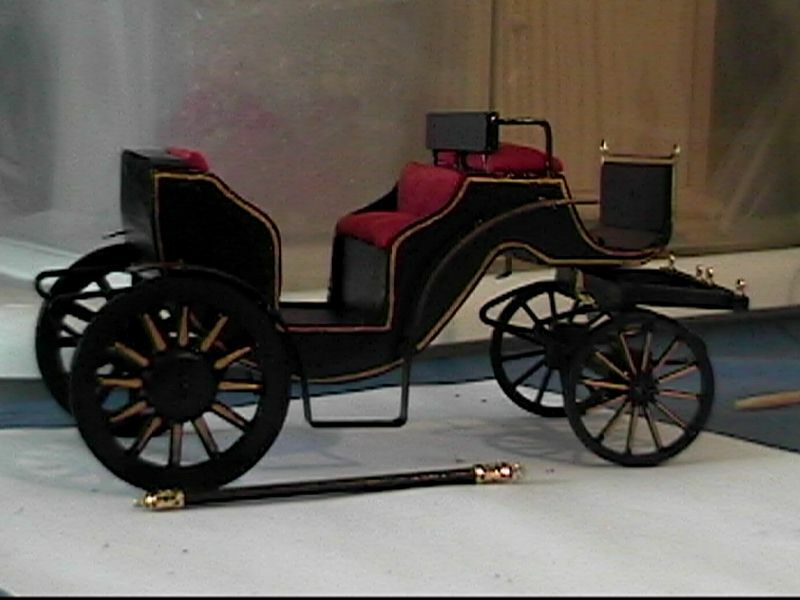 Phaeton– This one was very popular with the rakish fellas because it was so high, a ladder was often needed to get onto the seat, and it got them noticed. It also was dangerous, it could easily tip over, that made it attractive to the daredevils. There was no side protection so mud splatters were to be expected. 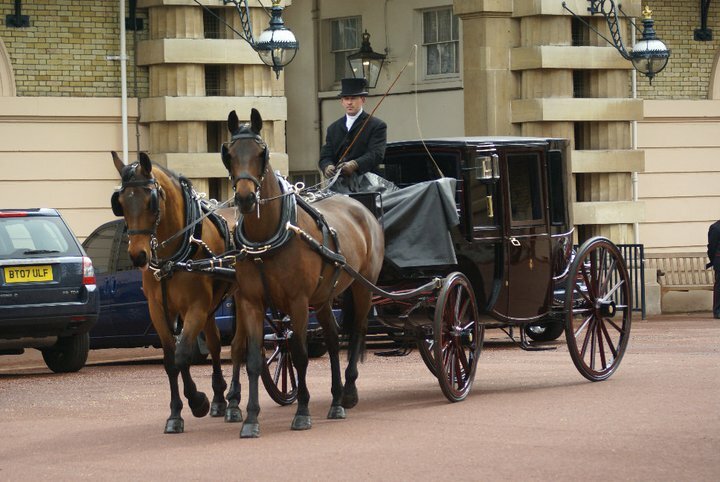 Curricle– Another fashionable carriage for the gentleman. It was light weight and speedy. 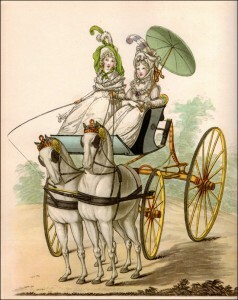 Barouche– A popular summer carriage for the wealthy. It had a hood over one of the seats. 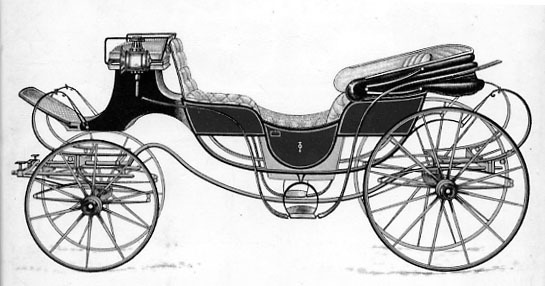 Town Coach– Similar to a Landau but with a hard roof. It was also called a ‘Closed Carriage”. The nobility often put their coat of arms on the door. 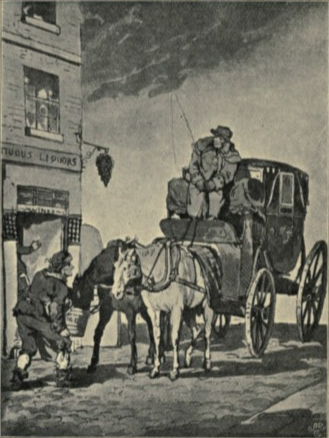 Mail Coach– this needs little explanation. It traveled the roads delivering the mail across England and those who wished to travel from one place to another could purchase a seat. 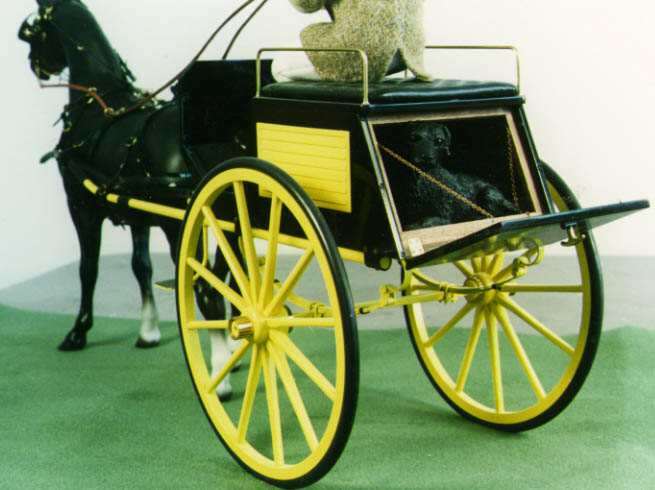 Dog Cart– It was not a cart pulled by dogs. 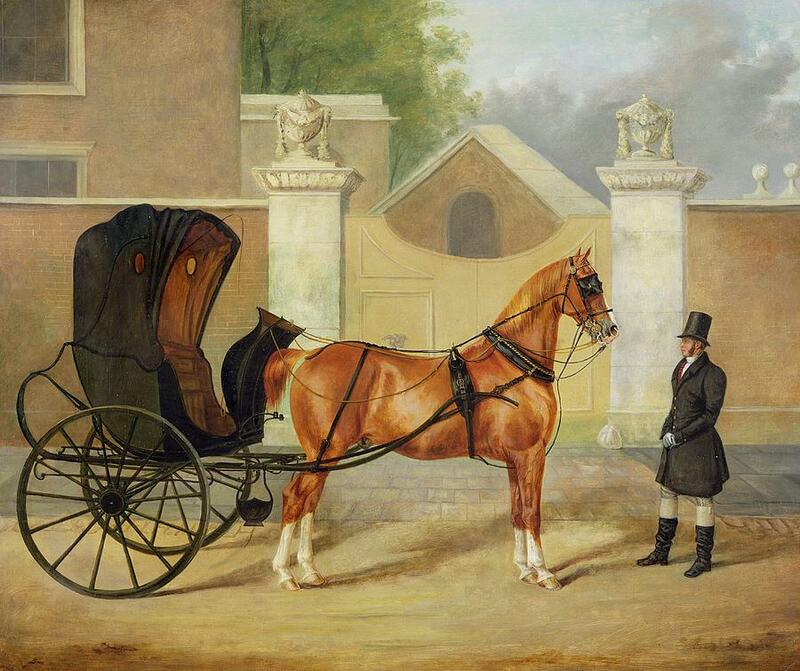 It was a carriage used on estates that could hold the hunting dogs being transported to a hunt. 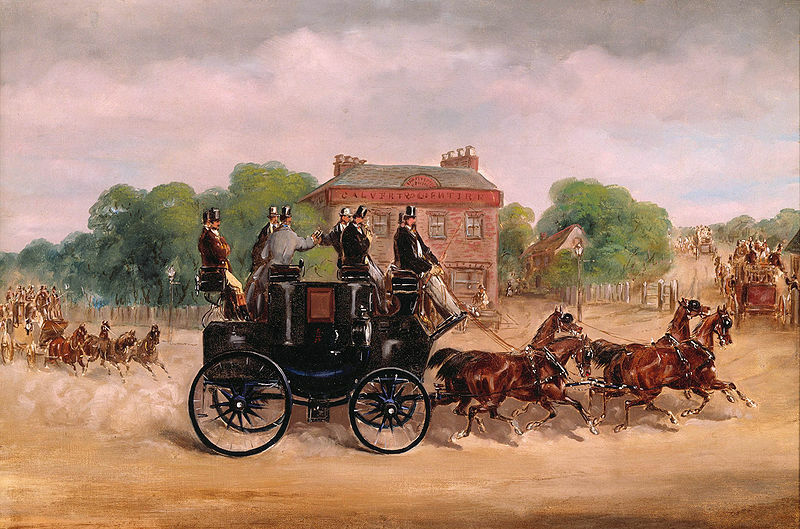 Hackney Coach– The taxi cab of London in the 1800’s. Charley Lambert has worked hard at creating a perfect life. She has an aspirational flat, a job of international significance and a very good pair of legs, thanks to a rigorous health and fitness regime. Best of all, her boss has asked her out after seven years’ hard flirting and a covert fumble in a cleaning cupboard. Then she breaks her leg in three places, watches her boss propose to someone else and – horror – is forced to hand over her job to her nasty deputy. Charley, a certified workaholic, fears that she will go mad. Dangerously bored, she starts helping people who are talentless at internet dating. Then William arrives in her inbox and rocks her world. Helpless, she watches herself fall in love with him and discovers she’s not who she thought she was. But can she turn her back on her old life – all for a total stranger? 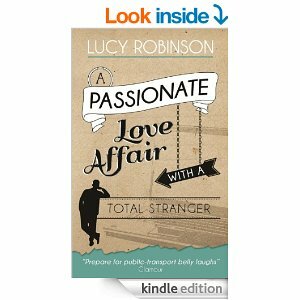 This is Chick-Lit the way it should always be written; funny, sweet, angst-ridden, character driven and full of romance. I read this over 400 page book in one day. I could not put it down. I became so entwined in the lives of Charley, John, Sam, Hailey and the Lambert family that I had to stay up all night to see them safely to the end of the book. All but one made it that far. Take this one along on your August vacation for an entertaining beach read. Skive– Avoid work or duty by staying away or leaving early. The past will overtake him… Abandoned in France since boyhood, despite being heir to an English barony, Sebastian St. Clair makes impossible choices to survive a tour of duty in the French Army. He returns to England hoping for the peaceful life of a country gentleman, though old enemies insist on challenging him on the field of honor, one after another. But this time, he will not fight alone… Millicent Danforth desperately needs her position as companion to the Traitor Baron’s aunt, but grieves to learn that Sebastian must continually fight a war long over. As Sebastian and Milly explore their growing passion, they uncover a plot that will cost Sebastian his life and his honor, unless he does battle once more-this time in the name of love. In this Ms. Burrowes second offering in her Captive Hearts Series she examines the toll that war takes on those forced into doing unspeakable tasks. Sebastian, is English born but was raised in France where he is conscripted into the French army. He is not totally unsympathetic to his English upbringing and although he is tasked with interrogating captured English officers he devises ways to get some information from them while keeping them alive. But his methods are still torture for the officers. At wars end they are, one after another, challenging him to duels. There is an evil villain behind the duels. He wants to see Sebastian dead, fearing Sebastian will tell about his criminal dealings during the war. Millicent, has issues to deal with, but is in love with Sebastian and works diligently for his survival. 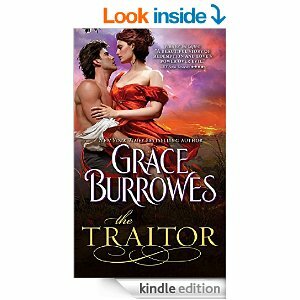 Once again Grace Burrowes delivers a mesmerizing story filled with romance, danger and action. She takes a character that we perhaps should loathe and with wisdom and finesse makes us cheer for his good outcome. His valet/bodyguard Michael Brodie is somewhat mysterious and there are some surprises offered concerning him. He is also the subject of the third book in this series, coming in September. We are introduced to Sebastian in the first book of the series (THE CAPTIVE) but this is a standalone novel. However, this is one of the best series of the year so I encourage you to start with The Captive. A WOMAN OUT FOR BLOOD Nicole Martin was only eight years old when the vampire slaves rose up in rebellion and killed her family. Now she devotes her life to finding a vaccine against vampirism, hoping to wipe out her memories—along with every bloodsucker on the planet. But there’s one thing she cannot destroy: her searing, undeniable attraction for the one man she should hate and fear the most . . .
A VAMPIRE OUT FOR REVENGE A member of the renegade vampire MoonBound Clan, Riker is haunted by demons of his own. When he recognizes Nicole and remembers how her family enslaved his loved ones, his heart burns for vengeance. But when he kidnaps Nicole and holds her in a secret lair, his mortal enemy becomes his soul obsession, his greatest temptation, and, perhaps, his only salvation—a hot-blooded lover who could heal him with her touch . . . or bury him forever. Riker is an 89 year old vampire who looks 29. He is second in command at his clan Moonbound. He is tormented by the loss 20 years ago of his mate, Terese, and her unborn child. So when he kidnaps Nicole because she is a member of the family who destroyed his family, and she can gain his clan leverage with another clan, he has no understanding of why he is so attracted to her. Nicole is also attracted to Riker and she questions if she has Stockholm Syndrome. There is plenty of action that comes into play as Nicole tries to escape and predators abound. Larissa Ione has written a novel of action, violence and romance set in what appears to be our world populated by humans and vampires. This new world is one where humans have enslaved vampires but renegade clans of vampires hide in the deep woods. Some of these clans are modern with all the trappings of modern society except that they live underground in caves and caverns. Other clans are nearly primitive, also living in caves but in filth and lacking a social conscience. This diversity creates animosity, and wars often break out between the vampire clans. Still, the biggest threat to vampires is the humans. Having practically devoured Larissa Ione’s Demonica Series, I don’t know how I missed the release of this the first book in her Moonbound Clan Series. But even though I’ve come to it half a year late(3/4 to be more precise), I enjoyed every minute of these non-sparkly vampires and the human who joins them. 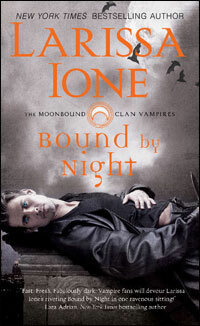 Now I don’t have forever to wait for the next book in the series CHAINED BY NIGHT, coming in September.